Pet sitting and dog walking happens in the field. Your staff members are running from visit to visit and your clients are not at a computer when they need to request services or make a payment. That’s why Time To Pet supports both a Client App and a Staff App! We also have a mobile friendly website too! 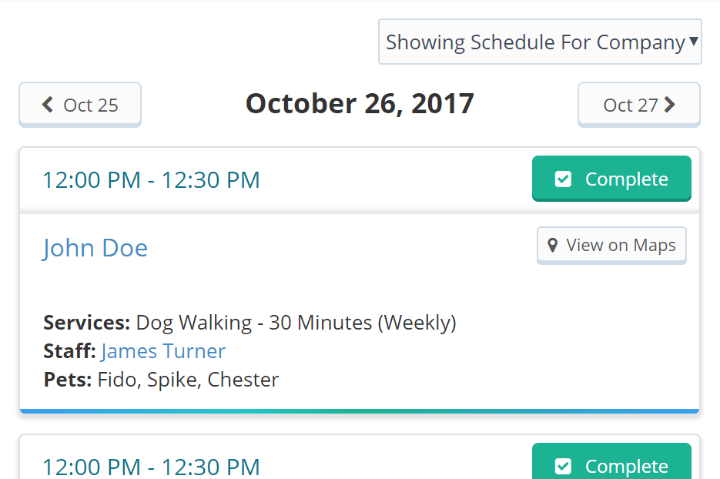 With all of these big “Uber For Dog Walking” companies out there - it can be hard for local pet sitters and dog walkers to complete. Clients expect a quick and easy way to schedule events, get updates and make payments. And they also expect this to happen on their smart phone. 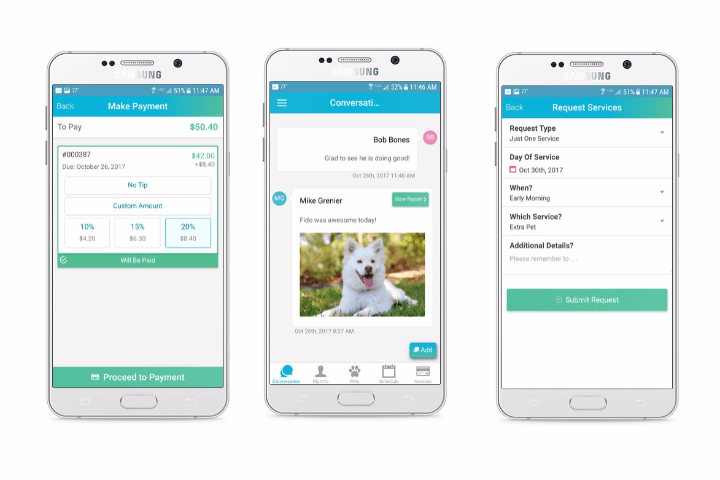 The Time To Pet Client App does just that! Your clients have the ease and convenience of an App but also get the superior quality of a local, professional pet sitting and dog walking company! Your staff members spend most of their day in the field providing care to your customers. In order to provide the best care possible, they need access to lots of information. Their schedule, client and pet info, the ability to send updates and pictures and more. 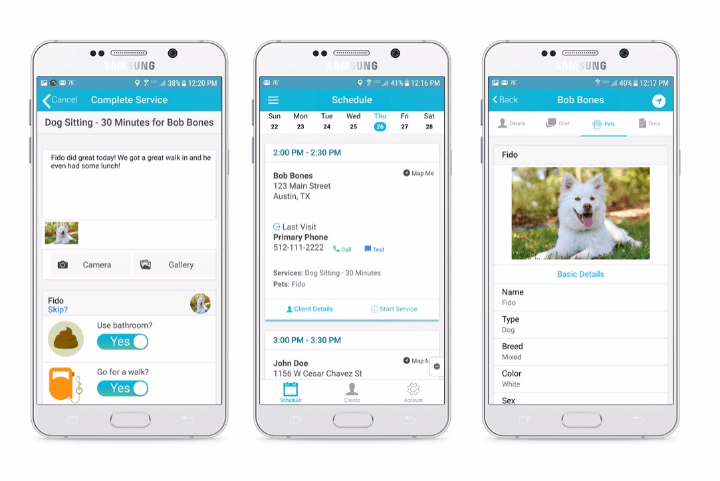 The Staff App gives your team everything they need to be productive and professional pet sitters and dog walkers! When an admin is in the field - they may need special access to features that a regular staff member does not have access to. Invoicing, scheduling and approvals to name a few. We were sure to build a fully responsive website so an admin can access all of the features they have on their computer by navigating to the mobile friendly browser version of Time To Pet! Clients can also access a mobile friendly version of the Client Portal!